Last week I got a call from a friend saying his well might be dry. I live close buy and was doubtful that he had run out of water. I went over and soon figured out that one of the fittings inside the well casing had rotted off and the pump had fallen away from the pitless adaptor. 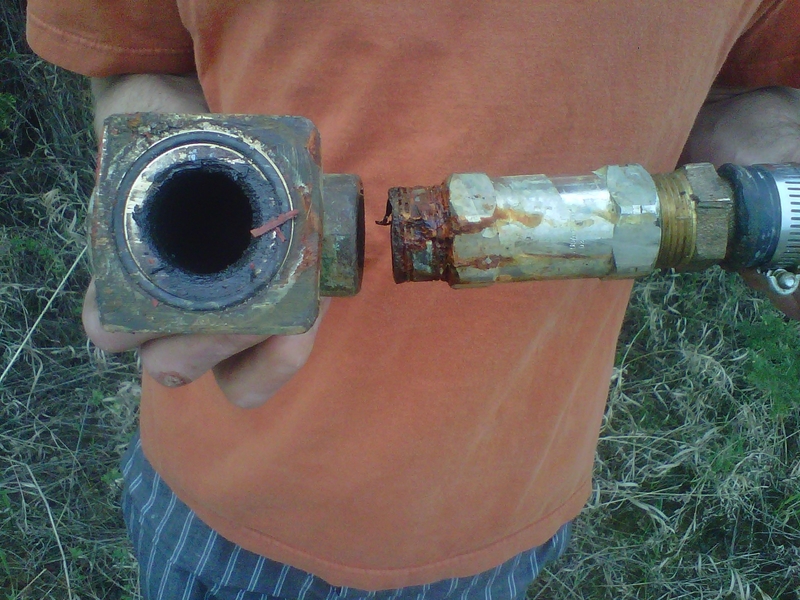 Having lived on an acreage for years I know what the problem was and it was just a matter of how to get the parts out of the well and replace them. The picture shows the diference between the three type of metal as it sits in a damp area like a well. The brass is in like new condition as was the stainless but the galvanized piece had rusted and corroded right through. This confirms what most well drillers and plumbers always say, don’t use galvanize in and around water. Do you have galvanized piping in your home, tell me about it.